E-cigarettes have seen a meteoric rise in the UK over the past year despite the health implications of the products still being a matter of debate. The latest figures from health charity ASH found that there are now at least 2.1 million ‘vapers’ in the UK and investment bank Goldman Sachs has predicted that annual global sales of e-cigarettes will top the $10 billion (£5.83 billion) mark within the next few years. With the negative health effects of traditional tobacco cigarettes well and truly established, the e-cigarette industry has been hailed by some as the future of the industry. 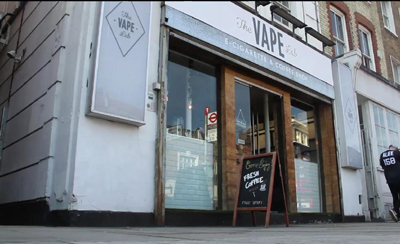 However, not all are in favour of the rapidly growing e-cigarette industry, with some large pharmaceutical companies directly attempting to divert people away from e-cigarettes through advertising campaigns urging people not to ‘vape’. A recent report by a team of researchers at the University College London found that, out of 6,000 people, 20% had found smoking e-cigarettes had helped them give up traditional smoking. Despite these findings, smoking e-cigarettes is banned in numerous public places like train stations and cinemas. GP Rob Hicks said, ‘We know that with traditional tobacco cigarettes there are huge health implications – cancers, heart disease, the risk of strokes, lung disease – and the key thing as a doctor I want is people to reduce their risk of these potentially fatal diseases and that means giving up smoking or going down the route of harm reduction. ‘There is potentially a great opportunity for the e-cigarette industry to reduce the risk of harm that people suffer through traditional cigarette smoking’. The issue of regulating the industry is growing as sales continue their inexorable rise. The Welsh Government is considering officially restricting their use in public places amid fears they help to normalise smoking. Industry expert Richard Russell is from Diamond Mist, a UK-based e-cigarette manufacturer and seller. He would like to see more regulation of the industry, ‘There’s not enough regulation at the moment and this is a cause of concern for us and all users. I agree with the Government wanting only over 18s to be able to purchase these items’.